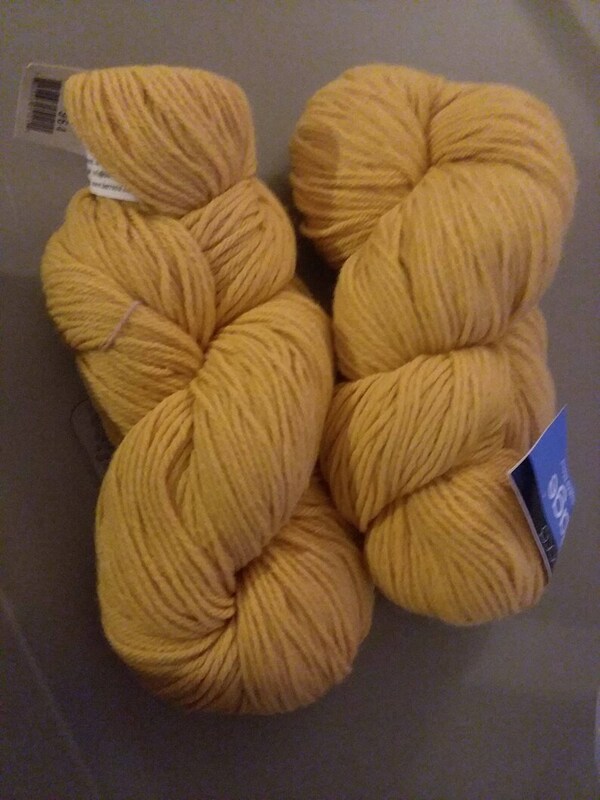 Destash, lot of 2 skeins of worsted weight Berroco Vintage yarn in a mustard/yellow color 5121 dye lot 964. House has cats. Yarn was kept in a plastic ziplock bag.